SurveyPocket is a mobile field research app from Survey Analytics that allows your field data collection team to ditch the pen and paper and use an iPad, Android tablet – or even a smartphone or iTouch - for field research & data collection. 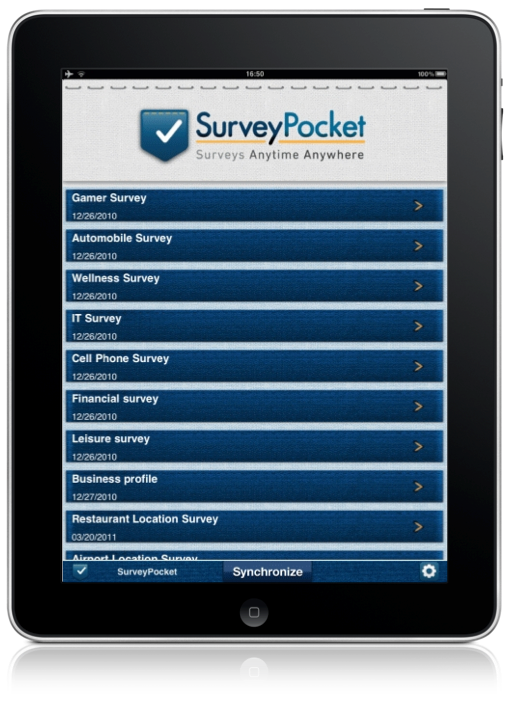 SurveyPocket uses Survey Analytics or QuestionPro for survey creation and analysis. The app can collect data in either online or offline mode - valuable when there is no wi-fi connection available. This app has more question types and logic options than any other solution. Watch this video to get a detailed demonstration of SurveyPocket, including a very valuable new feature - the ability to scan barcodes, which is very valuable to distributors, retailers and product manufacturers. All above android apps are awesome and the top three apps are my favorite.